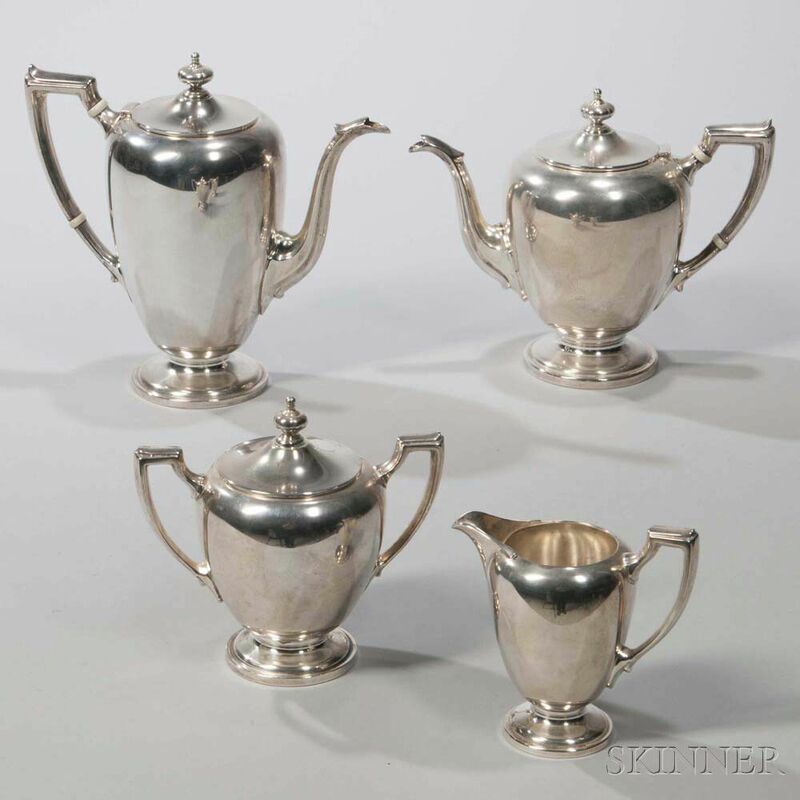 Four-piece Reed & Barton Sterling Silver Tea and Coffee Service, Massachusetts, mid to late 20th century, inverted baluster form, teapot, coffeepot, covered sugar, and creamer, coffeepot ht. 9 3/8 in., approx. 67.4 troy oz.